Lets be honest how much attention do you really pay to the commercials you hear on the radio? How many times do the flyers and hand outs people leave on your car end up crumpled on the floor? If your a business owner you need better more efficient ways of getting your brand name out there. Now ask yourself how many times a day or hours in a week are you in the your vehicle? I bet you never thought that traffic could actually be your friend! 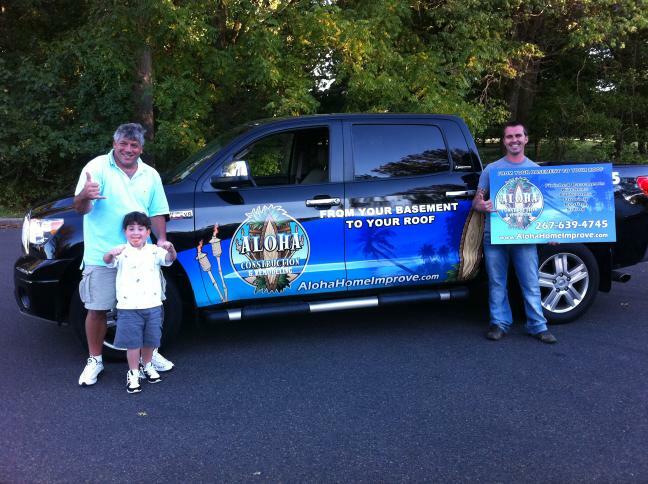 With a Custom Vehicle Wrap your car, truck, or trailer becomes a moving billboard, its almost impossible not to be noticed and the best part is not only is it your custom logo its an affordable one and done purchase! Come to Philly! From windows and walls, to buses and tractor trailers we wrap it all but wrapping isn't just about branding and advertising. Winter is coming and that means so is that brown snowy salt mixture that no one can seem to get away from but a custom vehicle wrap is a great way for protecting your investment and that paint job from the elements, blemishes, and those lovely gifts from our flying friends. Some of our clients have high end vehicles that they want to protect from scratches and dings, so instead of paying thousands on a new paint job after the damage is done why not protect it from the start. Next time your in your vehicle take a look around and what do you see white car...white car...silver car...but with a custom designed wrap theres a quick non-permanent way to simply change the look and style of your vehicle. You tell us your year make model, how and what you want, we have everything from camo to chrome, we can even teach you to install it yourself with our Wrap Training course.